With three months of the season remaining, Leicester City are deservedly at the top of the Premier League table, and according to Anfield legend Alan Hansen, there's one main reason for that, and it's something at which Liverpool have abjectly failed this year. "Morgan and Huth^ have been a revelation. They are rock-solid and on the same wavelength as Kasper Schmeichel. "They are a model for Liverpool...but who is going to forge that partnership? I've not seen any obvious solution yet." I totally agree with Hansen's basic point, but he (arguably) overstates Leicester's defensive prowess. 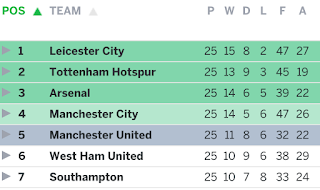 Compared to Liverpool (36 goals conceded), Leicester's record is excellent, but goalscoring is clearly the foundation of the title challenge, just as it was for Liverpool in 2013-14. That season, Liverpool conceded 50 goals in the league (!) but due to the genius of Suarez and Sturridge, the team banged in 101 goals, which kept the wolf from the door. 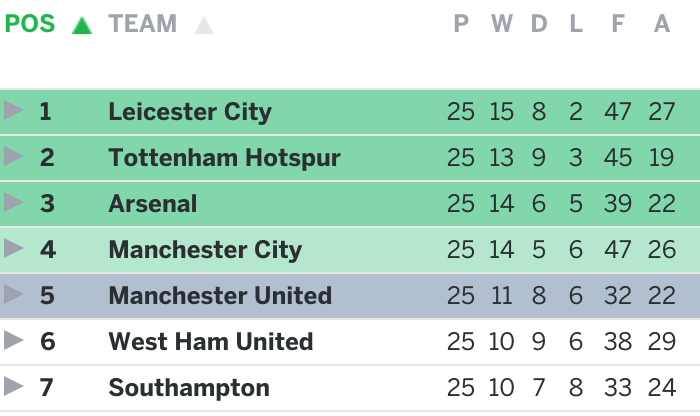 This season is a prime example of what happens when there's a major imbalance: Liverpool are conceding goals like there's no tomorrow, but the club is also struggling to score. End result? mid-table mediocrity. As for the future: Hansen is right - there's no 'obvious solution' to creating defensive stability at Anfield. Skrtel and Toure are aging, and Sakho/Lovren are injury prone, and (for the most part) unreliable across an entire season. Major surgery is required to achieve consistent defensive stability, and that may ultimately mean two new first-team centre-backs. The biggest defensive problem the club needs to solve, though, is obvious: The goalkeeper. Mignolet needs to go, and everyone can see this...except Klopp.